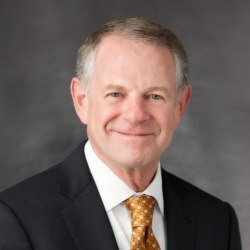 Ed Bachrach is the retired Chairman and CEO of Bachrach Clothing, Inc., a nationwide retailer of men’s fashions. He graduated from Northwestern University with a BS in Business Administration and from Harvard’s Kennedy School with a Masters in Public Administration. He is the founder and president of Build Cambodia, a private foundation focusing on improving the lives of Cambodians. He resides in Chicago and Decatur, Illinois.